The shop is moving and the new store has three levels of fashion with a spacious photo gallery on the ground floor. There's an in-store pumpkin hunt with nice prizes going on now. I tried going to New Palermo for my pictures, but ended up TPing inside a warehouse and getting cornered by a guy who thought he was Sam Spade. It was an interesting adventure but not very photogenic. I like spiders. Generally speaking, spiders and I get along really well. The exception was a brown recluse spider who decided I was encroaching on her territory. She bit me and I ended up going to the emergency room, not once but twice because of complications from the bite. Thanks to +Aii+, I can pay homage to that very protective arachnid. Here is my interpretation of a brown recluse spider. They aren't quite as poisonous as a black widow, but enough for me! 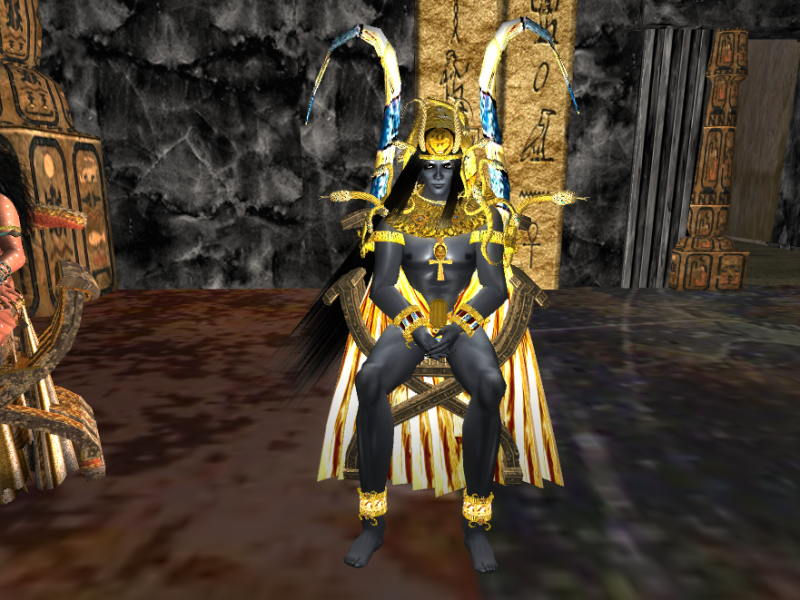 I received a lovely preview of +Aii's offerings for the Nightmare Event. Ordinarily, one would think a veined eye growing from the center of the chest would be rather unpleasant, but in this case, I thought it was so well done it was truly mythic. 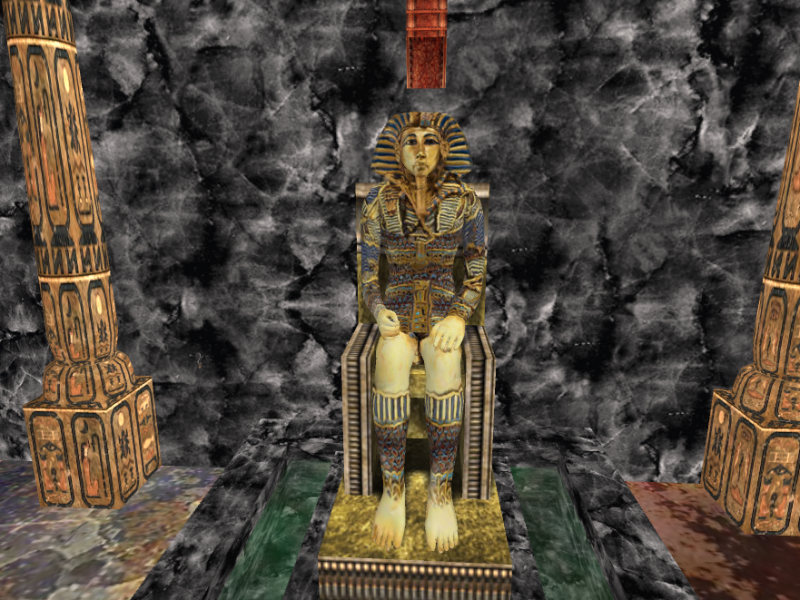 It reminded me of the oracle from The Orphan's Tales by Catherynne M. Valente, who had an eye in her solar plexus which allowed her to view all things. I tried in my pictures to convey the torment such knowledge would cause the bearer. 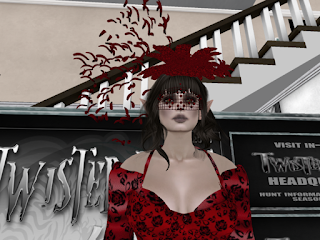 Say "Twisted" to a group of SL hunters and you get one of two reactions- either they'll get a mad gleam in the eye and a strange evil grin, or they'll run away screaming. Twisted has been known to cause eye strain, insomnia and even ... insanity! The hunt item is a spinning cube. This round's cubes are black and white. 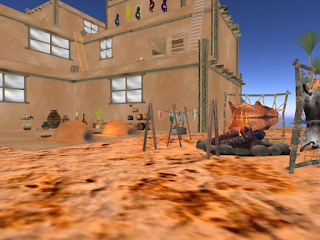 Participants are allowed to use decoys, fill their sims with twisty cubes and in general make it impossible to use tools like area search, wire wrapping and other cheats to find the item. 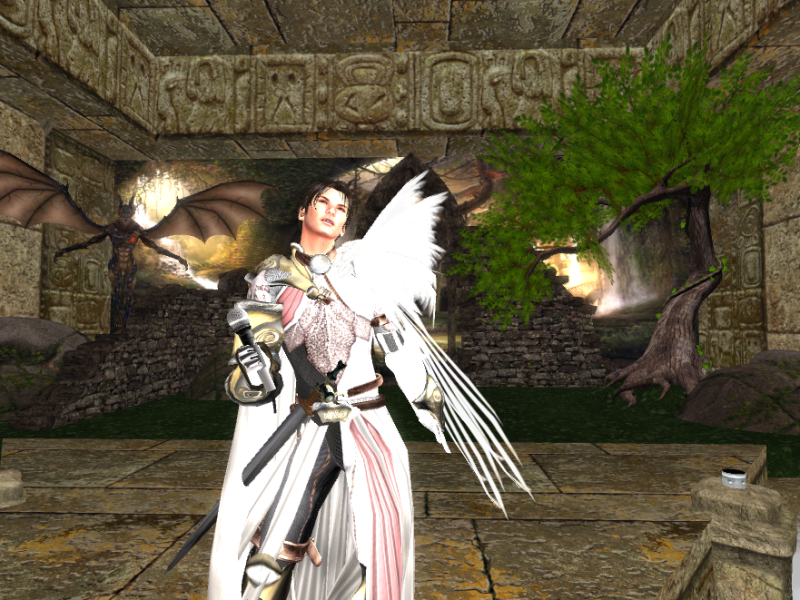 Twisted prides itself on being the toughest hunt in SL. 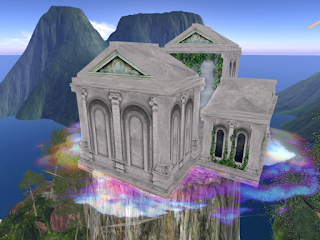 There are no hints, cubes are frequently moved and if you are so foolish as to ask for help in the chat group, you will be ridiculed! I love it! Can I tempt you? Nothing says autumn like a nice crisp apple. This apple green combo looks good enough to eat! "Apple Daisy" will be the Roots & Wings Clothing hunt item for the Fall Tears Hunt. The jacket has a nice fleece texture and the pants have daisies in a matching apple green. The man's hunt item is a comfy-looking Rusted Autumn flannel shirt. 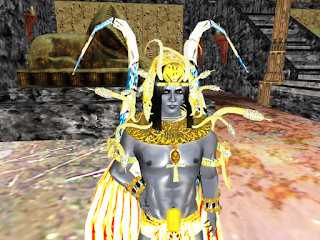 You arrive to find yourself in front of a long stone stairway. Snow is falling and the mist makes it difficult to see where you're going. Suddenly you come thorough a pass and behold... SALES! 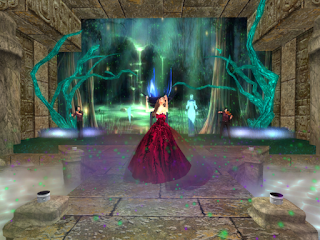 Some of your favorite designers from We <3 Roleplay, the Season's Story and the Fantasy Collective are participating. There are a few gachas but most of the items are for direct sale. 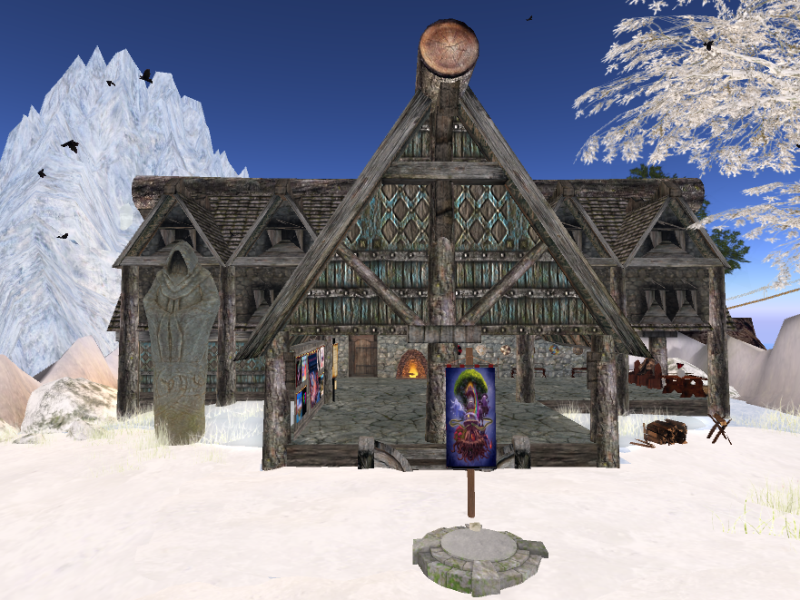 Some of you who visited my build for Fantasy Gay Pride have probably come to the conclusion that I'm rather fond of traditional Scandinavian stories and the Viking way of life. You would be correct in that assessment! As it is, I was content to purchase this very nice and "as authentic as possible to render in mesh" dress from Aisling. It comes in several colors with a dark and a light undergown for each color. The turtle brooches and necklace show the usual Aisling attention to detail. I love it! I can dump all those other Viking gowns I've accumulated over the years in SL! This one is much like the one I wore for years in the SCA and has the advantage of not looking like I'm wearing a tent, which has always been an issue with the flexi gowns. With the sounds of applause, laughter and sitar music in our ears, we bid a fond farewell to Fantasy Gay Pride 2015. We started planning and building this back in April. It's really hard to believe that after nine days of wonderful activities, it's all gone! 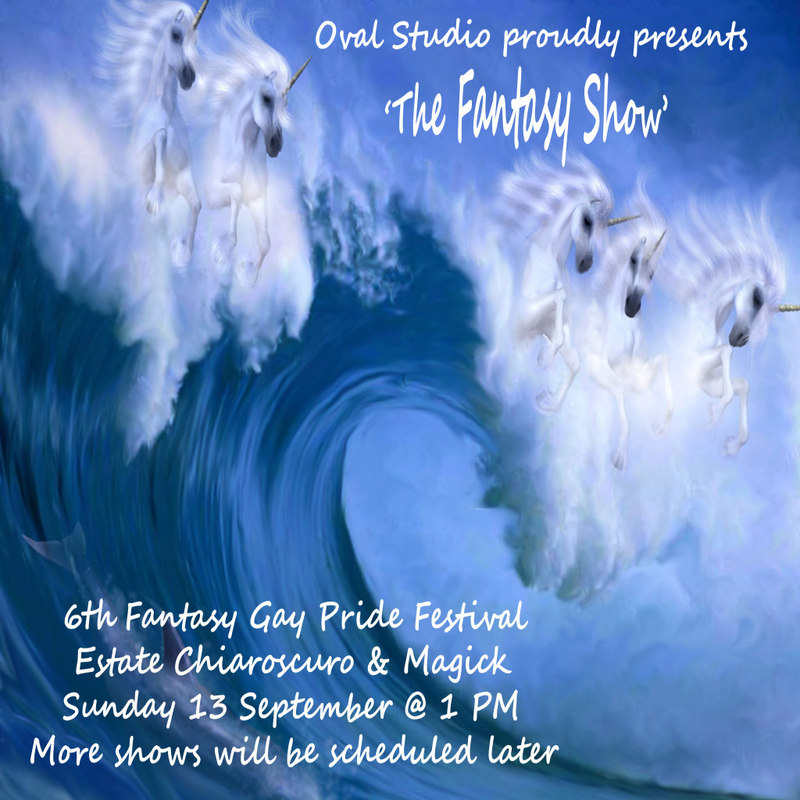 Our final day saw a performance of "The Fantasy Show" by the cast of the Oval Theater. 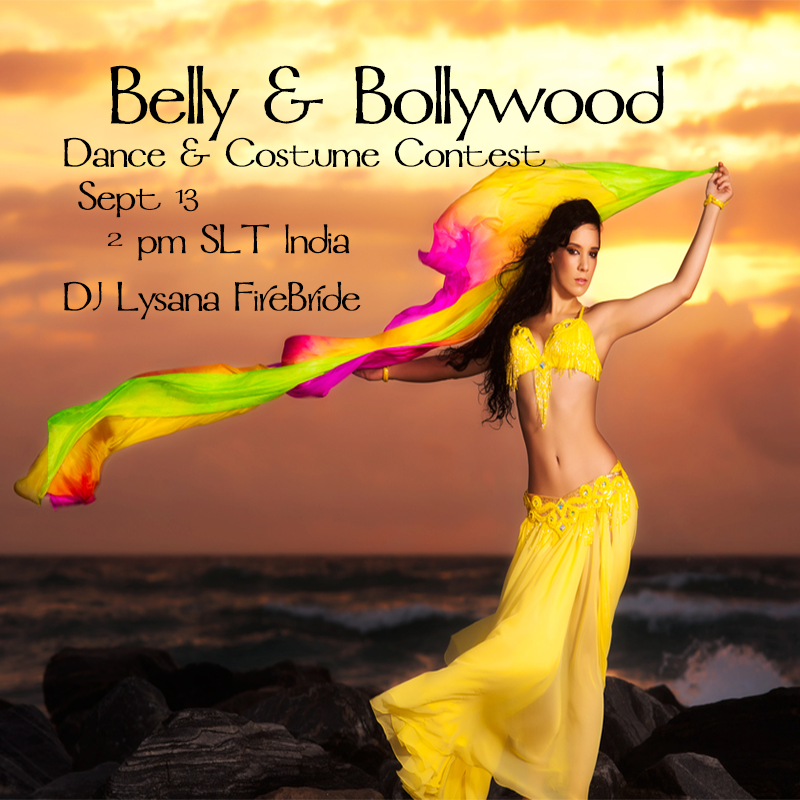 Our final event was a "Belly and Bollywood" dance held in the glowing white marble Indian temple. The evening concluded with fireworks. Thank you to those who helped plan, build, entertain, and who attended our event. We're looking forward to doing it even bigger and better next year! What a fantastic day! We were in Valhalla today and partied like gods and heroes! 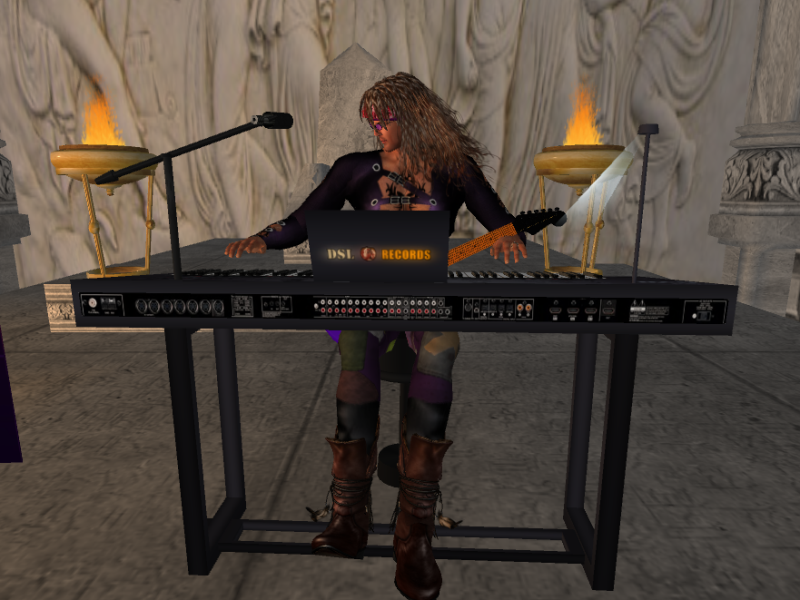 DJ Astoria Luminos did a wonderful Northern/Celtic/Earth power set that had everyone feeling energetic and heroic. Keeba Tammas and the Tiny Maniacs had us all dancing, laughing and craving waffles as they presented their unique brand of musical excellence and craziness. 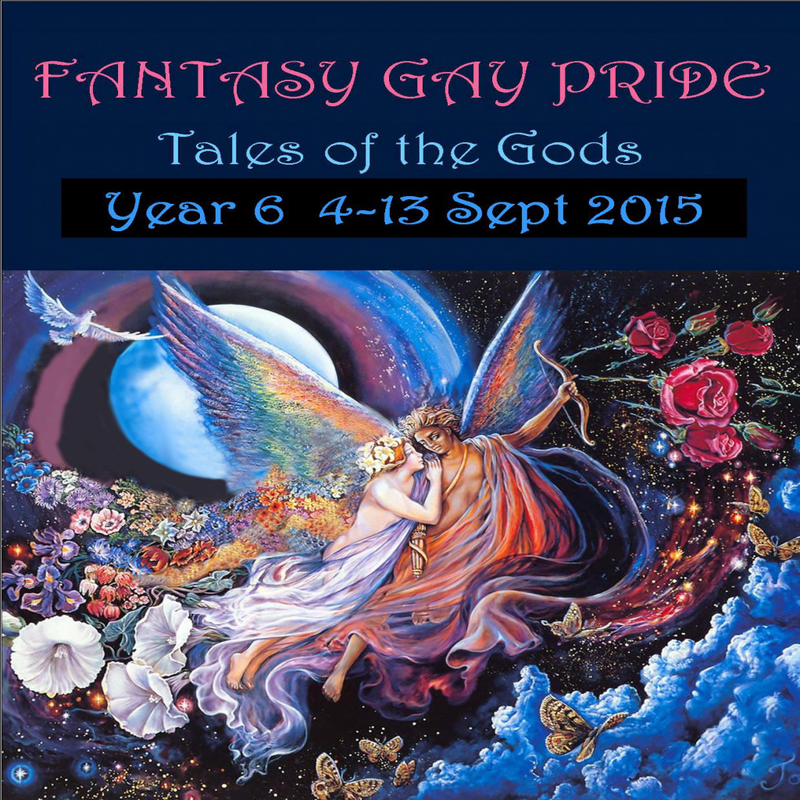 Sept 13 is the LAST day for Fantasy Gay Pride 2015. The sim closes today (09/13/15) and will be gone tomorrow, so be sure and visit early! 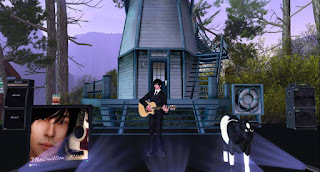 The sim-wide Hunt continues till we move the mountains, so see you there! 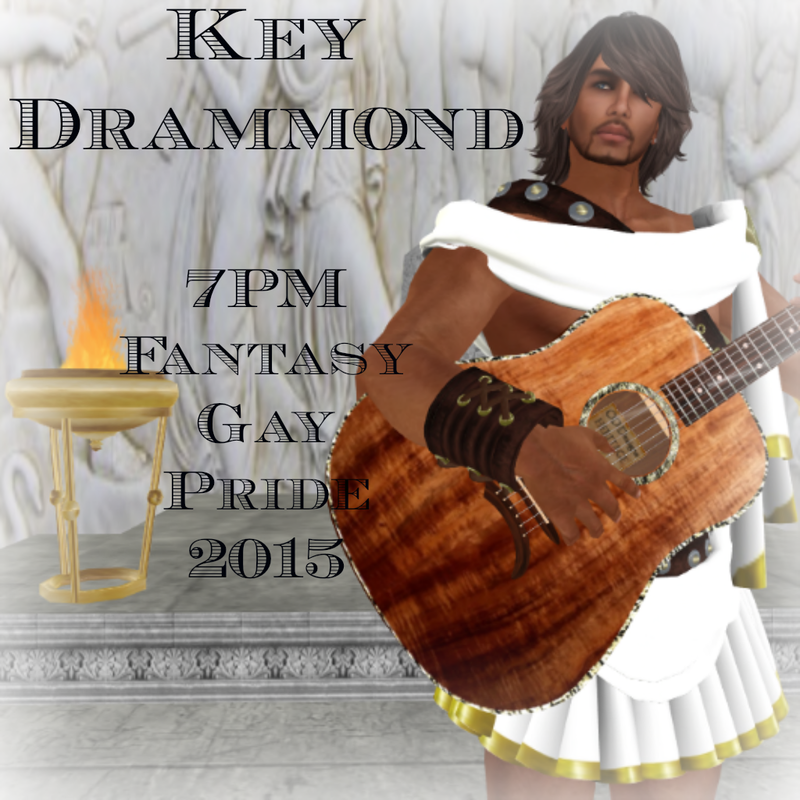 Key Drammond put on a great show for us in the Greek Island part of the venue. He performed some of the Neil Young pieces for which he is famous in SL as well as a variety of other tunes. Everybody who attended had a wonderful time! Saturday will be a day full of music ~ 2-4 stl Astoria Luminos will be playing Viking and Celtic themed music for the dance and costume contest in the Valhalla Great Hall. Come dressed in Best of Viking or your best raiding tee shirt. 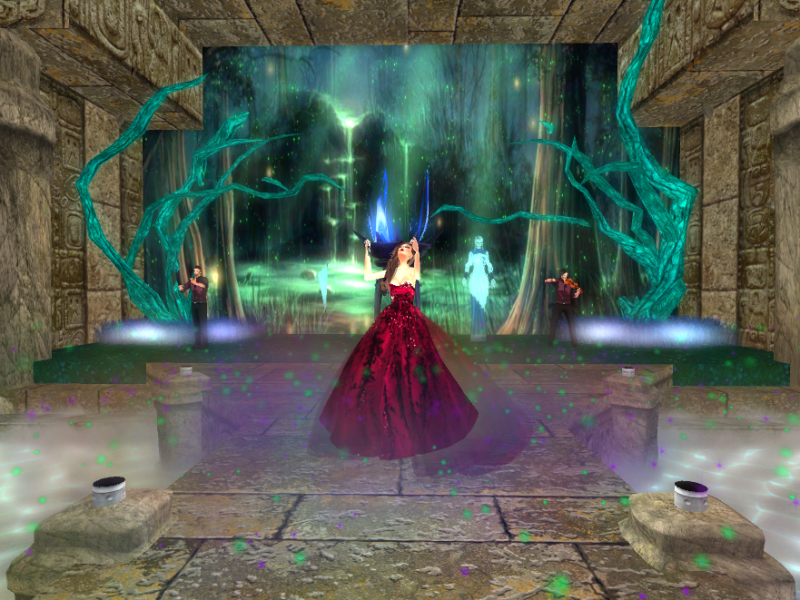 The amazing Savannah Coronet and the Hell on Heels gals will be performing in Valhalla from 5-6 slt. 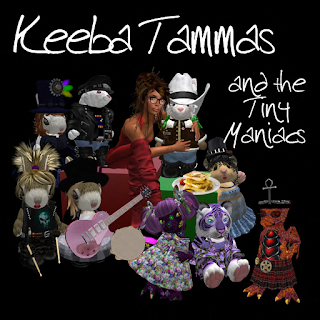 Keeba Tammas and the Tiny Maniacs will complete the day's musical activities with their very unique show in Valhalla from 6-7 slt. Fantasy Gay Pride 2015 will continue through Sunday September 13. Come visit the sim, do the hunts, ride the train and have a wonderful time! 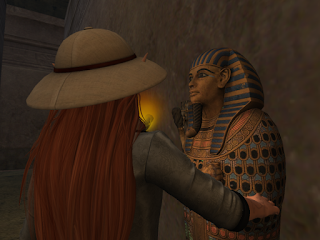 We had a very nice poetry session inside the Egyptian pyramid. FGP's poet laureate, Wolfgang Glinka, read several of his original works written for Fantasy Gay Pride over the years and just about everyone in the group read something they had found meaningful or inspirational. No special events scheduled for Sept 9, but on the 10th, Key Drammond will be sharing his wonderful voice with us @ 7 slt. In the meantime, enjoy both hunts. 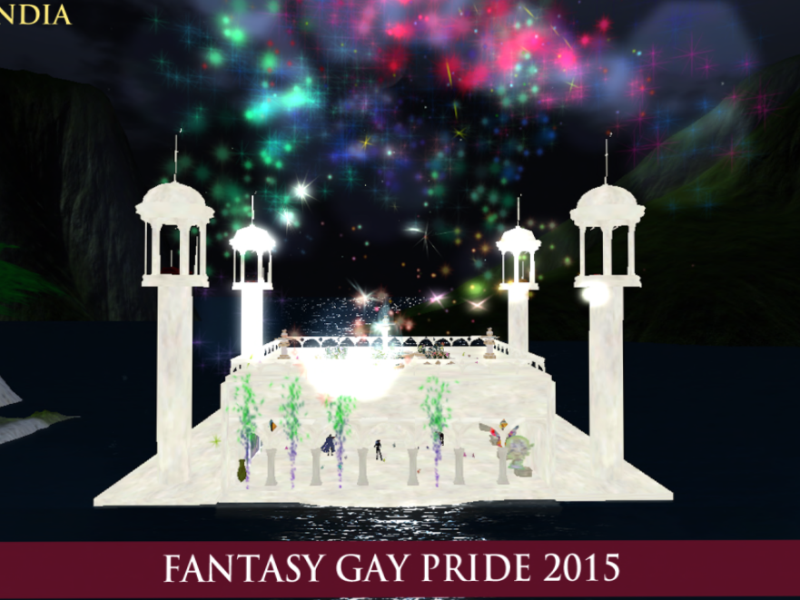 There are tons of great prizes throughout the Fantasy Gay Pride sim! 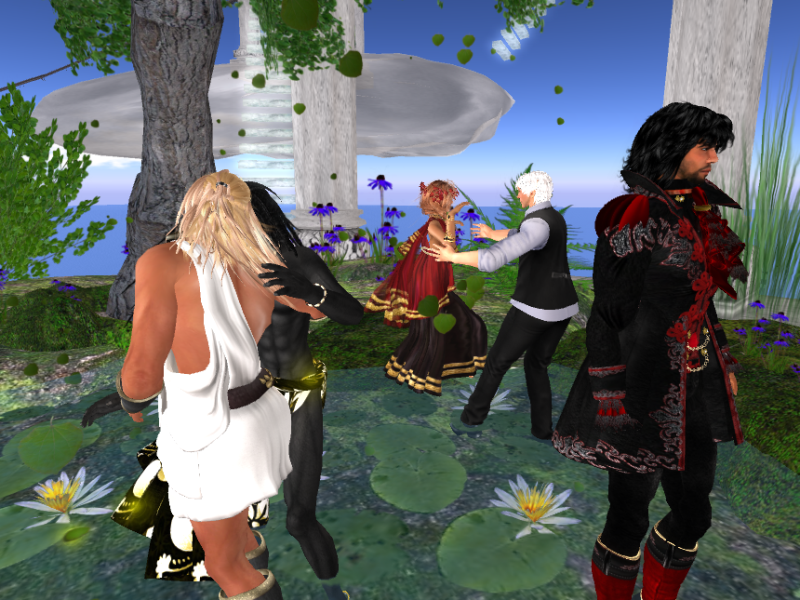 No events scheduled for today, so many of us spent the day doing the sim-wide hunt. 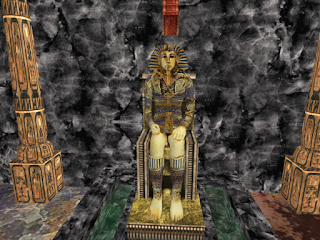 While hunting in Egypt, I discovered there is an additional hunt going on there. My friend Q, who built the Egyptian section of the festival, hadn't even told us he had done a special hunt in his area! We quickly spread the word because the prizes are wonderful! September 8 @ 2 pm slt will feature a poetry session with Wolfgang Glinka in the Egyptian area. 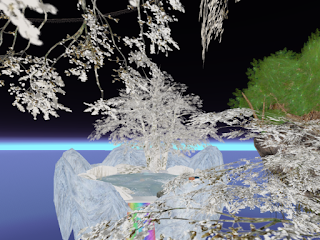 Come listen to others read their poetry or read some of your own. This session will be in Voice. 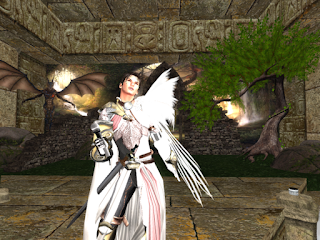 I just couldn't go digging around a pyramid in my usual elven clothing, so I was tickled to receive a notice from LaVain announcing a cute outfit at the Swank event. 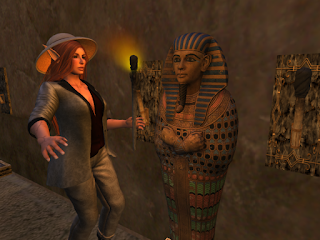 I popped over there, got the outfit, changed my clothes and was ready to go exploring! Day Three saw us rocking out to lots of music. 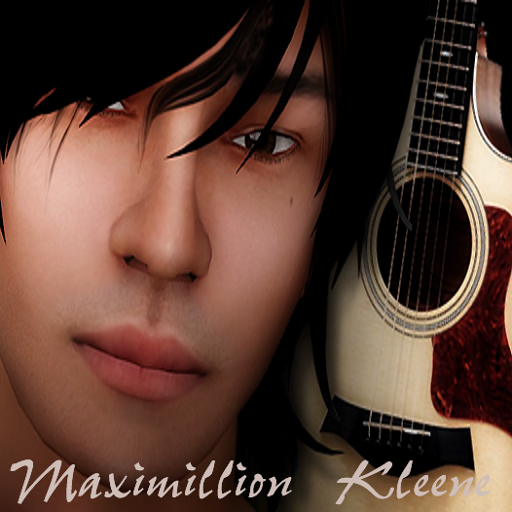 Max Kleene turned in a powerful performance from the lighthouse stage in the Canadian section of the sim. Many native Canadians were in the audience to cheer him on! DJ Starhawk Starostin provided just the right balance of country and rock 'n roll for the Best in Western dance held in the Kokopelli section of the sim. There was some line dancing and lots of boot stompin' through the evening. We decided we're glad some mamas let their babies grow up to be cowboys! The hunt continues through the week. The prizes are amazing! 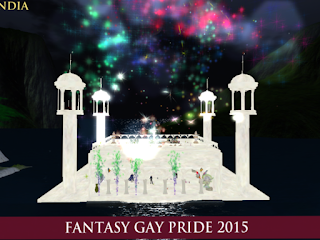 Find clues and landmarks in the blue Fantasy Gay Pride Posters throughout the sim. 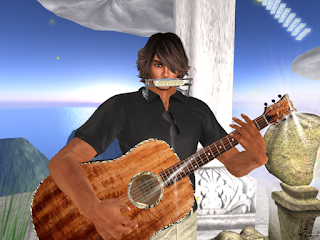 Next event will be Wolfie's Poetry Surf on Tuesday Sept 8 @ 2 in the Egyptian tomb. Come listen to the poetry or even read some of your own. This event will be in voice. Day Two and silliness prevails. We had a very bawdy stage show by Whinge and Plukket and a Cross-dress fashion show, followed by a wild dance. It was a lot of fun! Everyone looked beautiful - especially the guys! 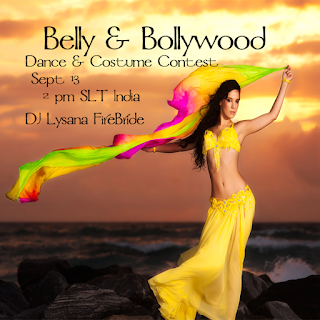 Sept 6 we'll visit Canada and the US southwest for musical magic. 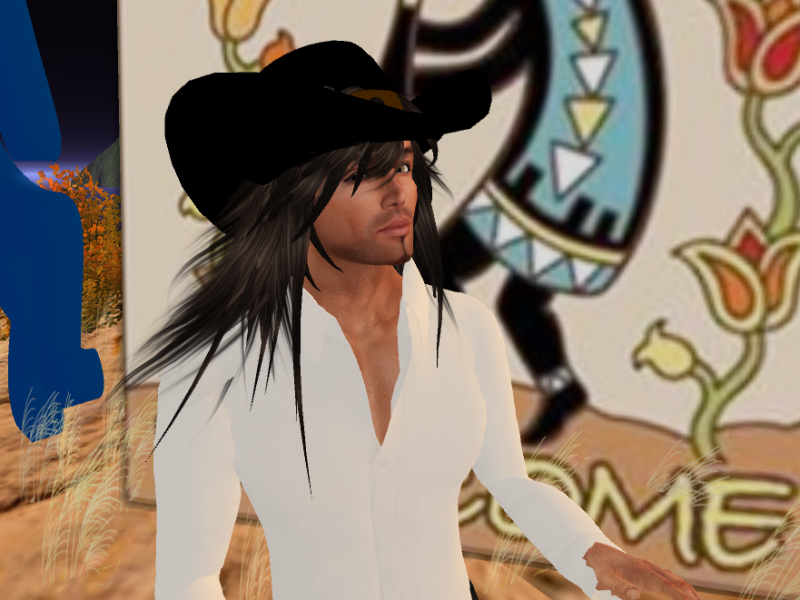 Max Kleene will sing and we'll have a DJ dance with Starhawk Starostin and a costume contest for "Best in Western Wear"
Fantasy Gay Pride continues till September 13. The Olympic Temple seemed the perfect backdrop for a momentous occasion. Poetry reading by Wolfgang Glinka of an original piece written specifically for the festival. 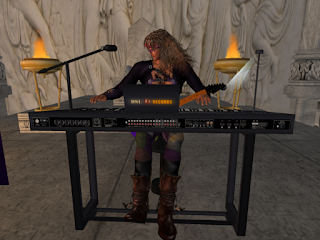 and Lisa Brune provided the musical entertainment for the first two hours of the festival. They both did a wonderful job and the audience had a great time dancing and socializing before going to explore the rest of the sim. Saturday September 5 will see a musical comedy performance by Whinge and Plukket, a Cross-Dress Fashion Show and a Dance with a costume contest for Best in Cross-dressing. 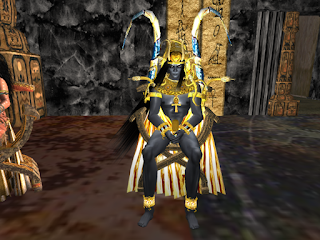 The fun starts @ 2 pm slt in the Aztec Pyramid. There is one event in Second life that is very near and dear to my heart. I've been attending Fantasy Gay Pride for six years and have been the Events Coordinator for it for the last two. Our goal has always been to build understanding and acceptance of all kinds of relationships, so whether you're Gay, Lesbian, Bisexual, Transgender, or Straight, this event is for you! 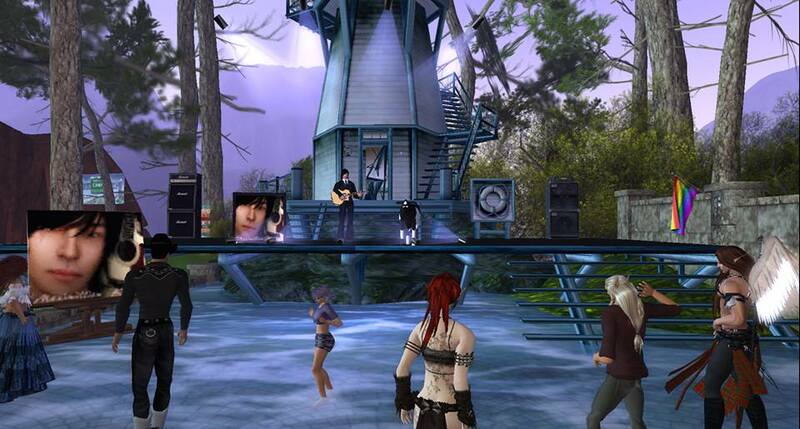 Our schedule includes live music performances, DJ dances, poetry readings, drama, comedy, a sim-wide hunt and lots of beautiful scenery and amazing SL magic for everyone to enjoy. This is not a shopping event. 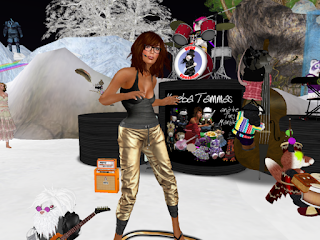 Though you can certainly donate to our cause, the goodies on the sim are free. There are LOTs of gifts in addition to the items in the hunt. I also had the honor of building Valhalla and several of the other worlds from Viking Mythology. 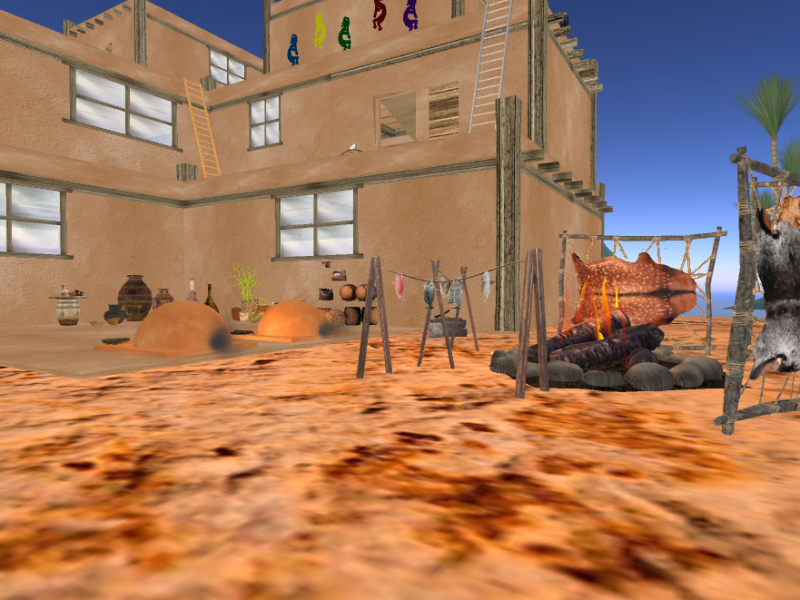 Here are a few pics of my area and the link to my flickr page where you can see lots more pics of the whole sim.